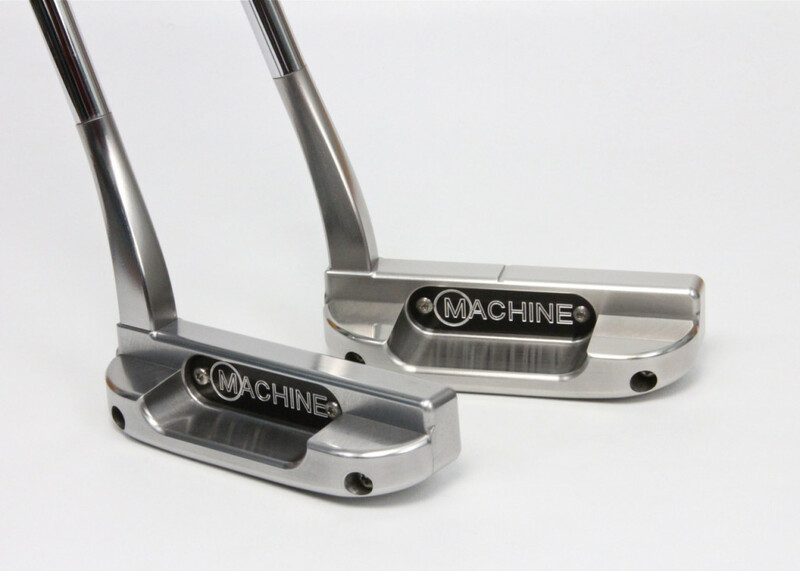 M8 Prototypes 2 & 3 with No. 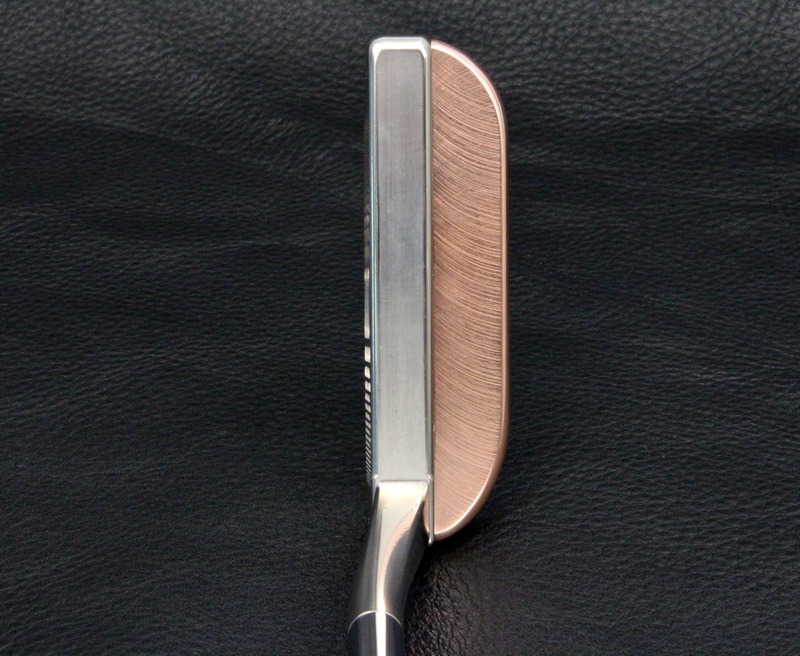 02 Blade flange. 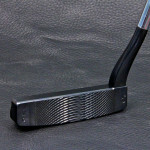 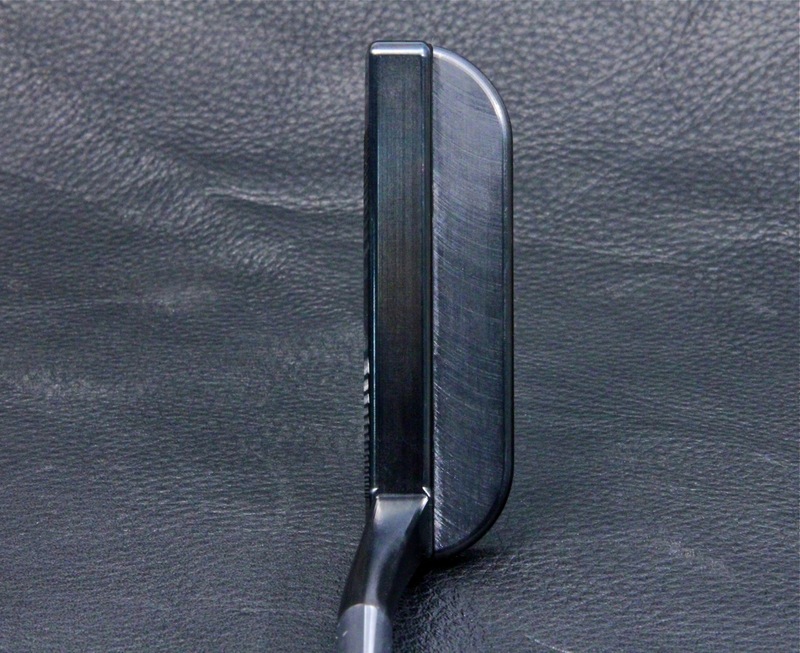 M8 Converter in 1018 Carbon Steel with a Hot Salts Gun Metal Blue Finish and Half Offset Gooseneck Hosel. 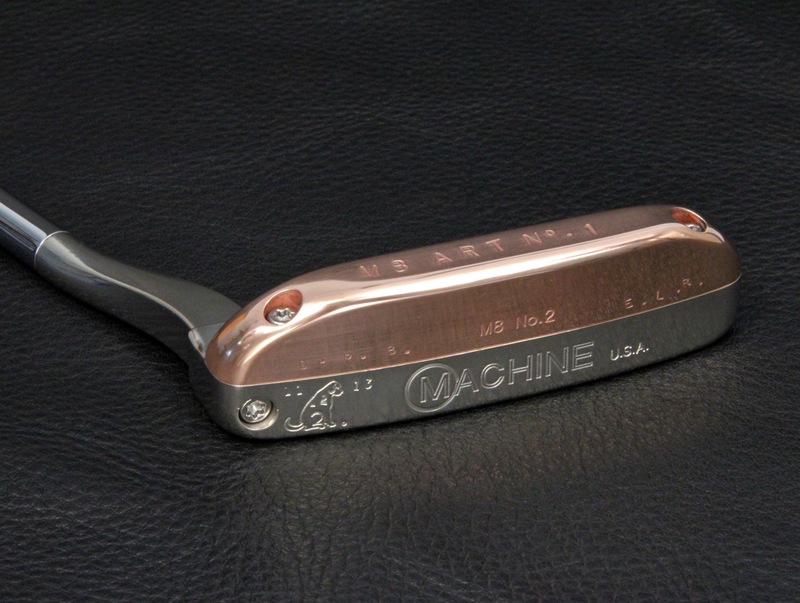 M8 Converter ART Putter No. 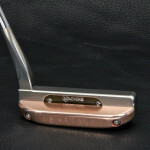 01 with Nickel plated head and Copper plated No. 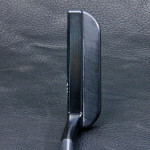 02 Blade Flange. 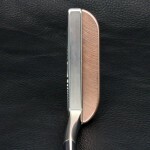 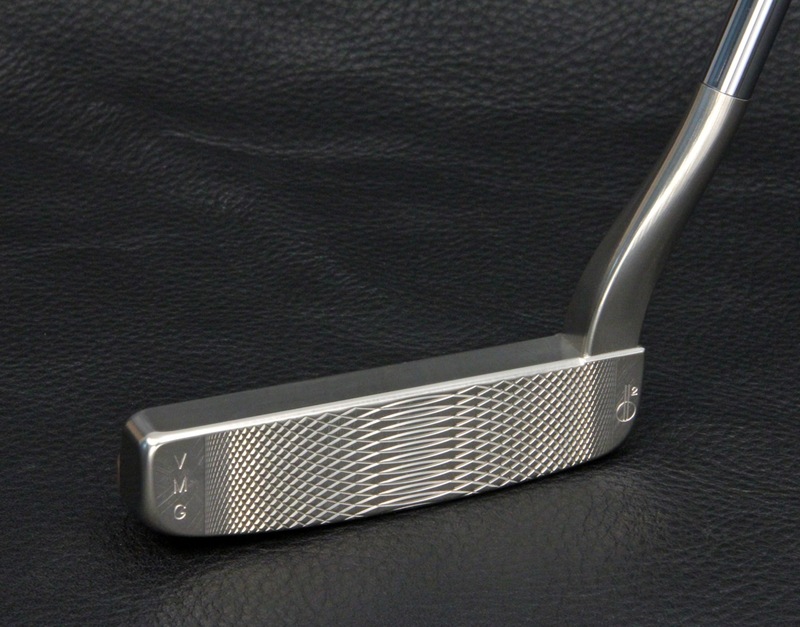 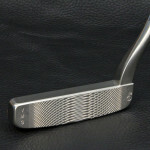 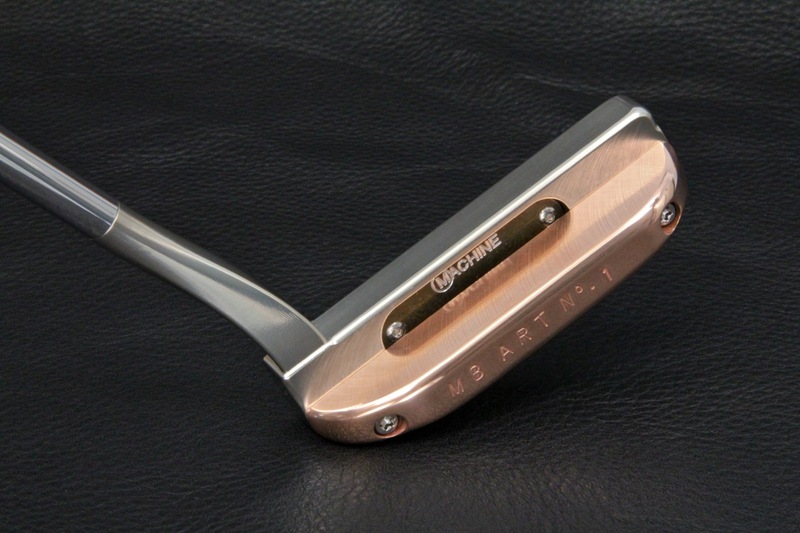 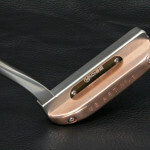 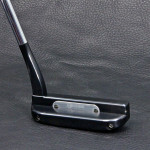 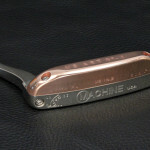 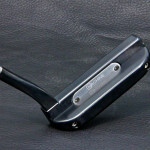 M8 Converter ART Putter #1 with Nickel plated head and Copper plated No. 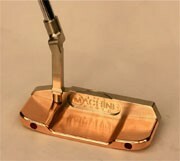 02 Blade flange.